Save money by rebuilding your latch with this kit. 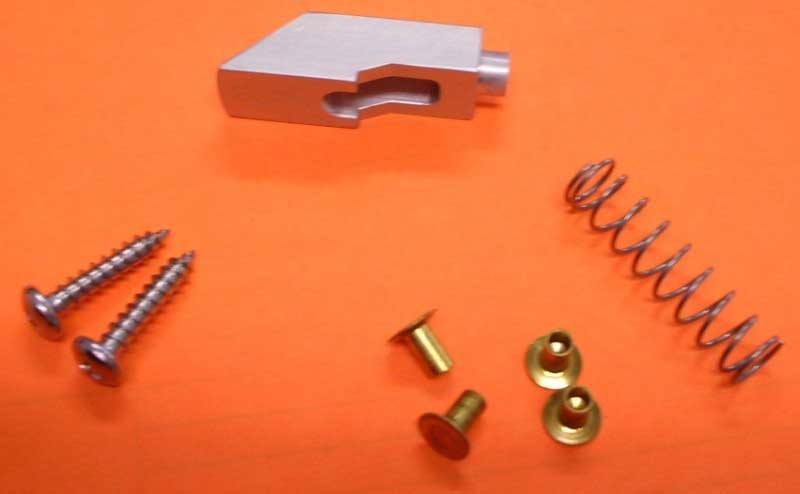 Kit includes spring, rivet and aluminum plunger. Plunger dimensions are 1/2" x 1-9/16" x 15/32". Copyright © RB Machining / RV Division. All Rights Reserved.